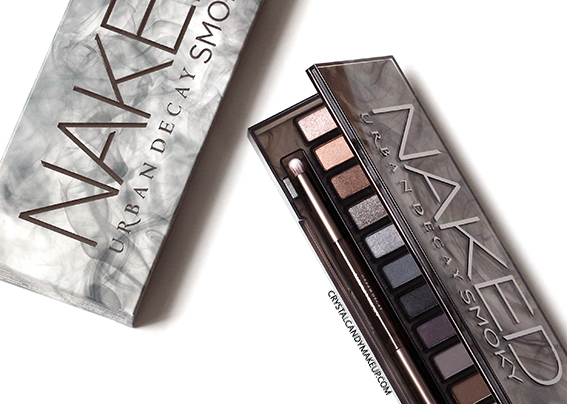 Every self-respecting makeup addict has already heard of the new Urban Decay palette, Naked Smoky! This eyeshadow palette has launched a few weeks ago in Canada and the United States, and more recently in Europe. Many of you already bought it now but if you are still not sure if you should add it to your makeup collection, or if you are looking for inspiration to create a look with it, then keep reading! 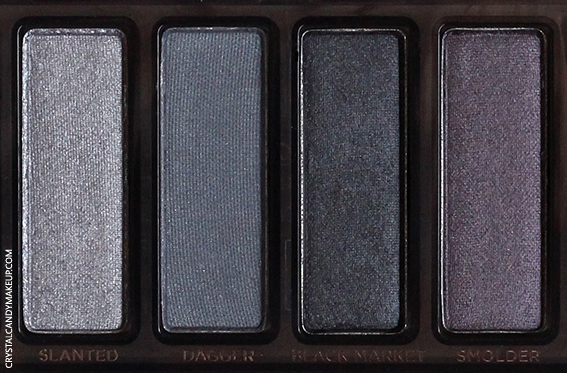 The Naked Smoky palette features a great variety of colors and finishes, even a few mattes! 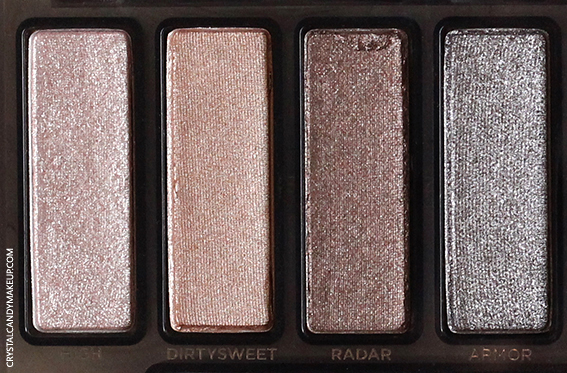 4 shades have a very shimmery finish, but they aren't glittery : High, Dirtysweet, Radar, Slanted. Armor is very shimmery too but it contains micro glitters. There's also 3 with a satin finish (Dagger, Black Market and Smolder), they aren't matte but they aren't very frosty either. 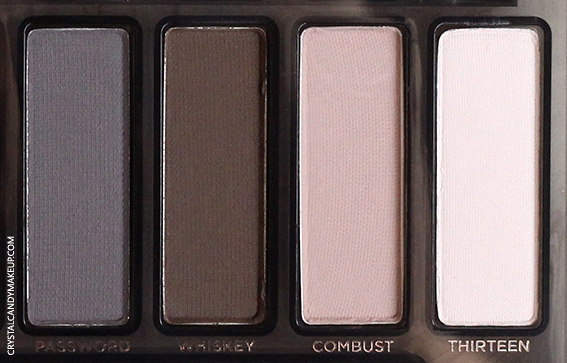 And finally, there's 4 matte shades : Password, Whiskey, Combust, Thirteen. 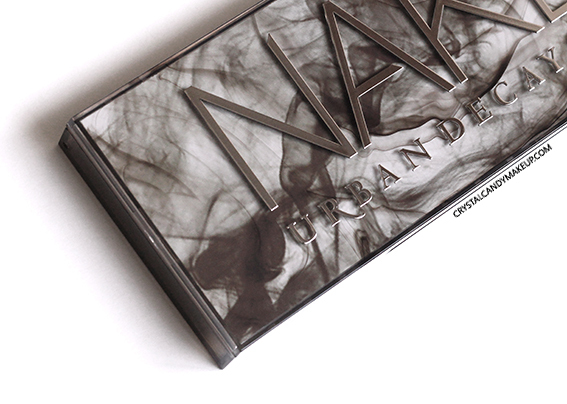 All shades are smooth and highly pigmented, but hey it's not surprising : it's Urban Decay! It comes with a double ended brush, one side is a crease brush and the other is a smudge brush. I love it, the smudge brush is perfect to create a faded effect along the lower lash line! I usually avoid silver eyeshadows, most of them are too cool toned for my golden complexion so they aren't very flattering, but this palette contain all the shades I need to make it wearable. The trick is to apply a warm brown on the outer v and a gold shade on the inner corner, and then apply the silver on the center of the lid. Here's how it looks! For this look, I applied Whiskey and Password into the crease and on the outer v. Then, I added Slanted all over the lid and Dirtysweet on the inner corner. I applied Black Market and Whiskey on the lower lashline with the Urban Decay smudge brush. I added Thirteen on the brow bone too. The last step is to blend any harsh edge with Combust! I have nothing bad to say about this palette, I love it! 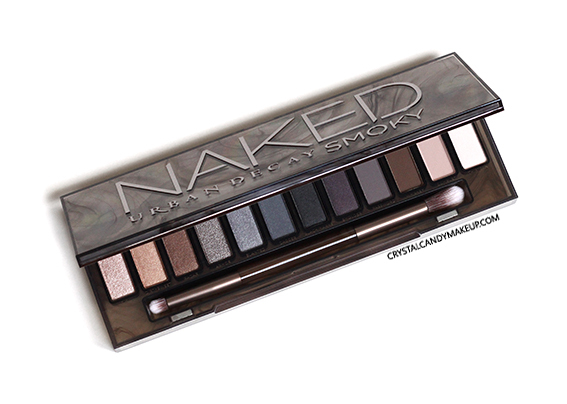 The Urban Decay Naked Smoky Eyeshadow Palette retail for $64 CAD for 15.6g and is available at Sephora, Ulta and Macys. Je comprends, tu aimerais surement les autres Naked alors! Your eyeshadow swatches are so beautiful, I don't know how you get them so perfect! I really love the look you created, it's absolutely beautiful. Oh goodness I regret coming to read this b/c now I NEED this palette! Gorgeous photos! Loved your review! Where can i buy this in Canada? Thank you! You can buy it at Sephora!